Like us for upcoming events, grant opportunities, news and more! All Rotarians have that “thing” that pulls at their heart strings. 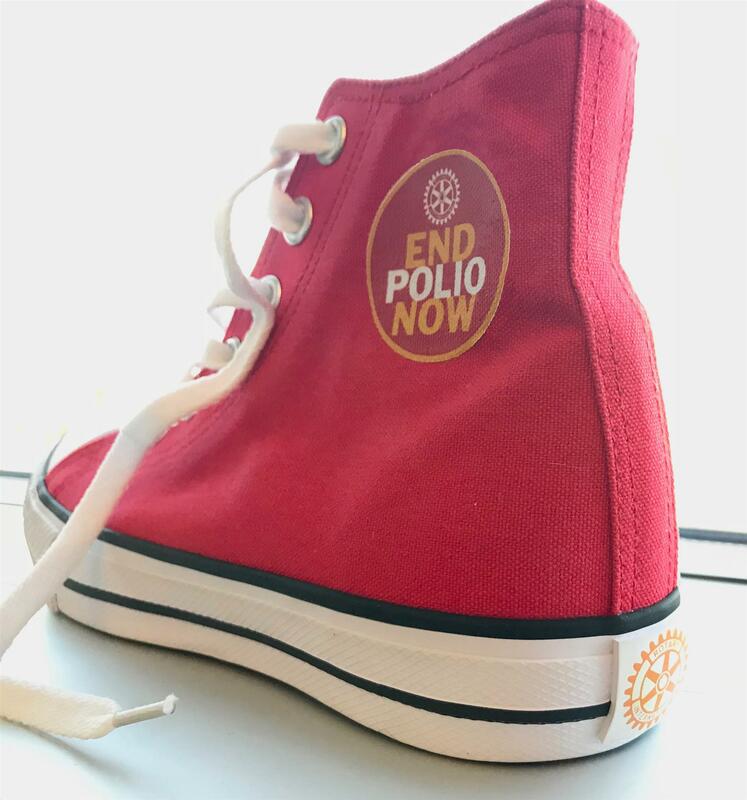 That humanitarian crisis that makes you say, “we have to do something about this.” Thirty years ago, a Rotarian said, “we have to eradicate polio, because it’s possible.” Look at us today – we’re making that possible. For me, my heart has always gone out to disadvantaged kids. Kids that are victims of their life circumstance, and the odds are stacked against them. The imagery in my mind of those children, and the conditions they likely live in is heart-breaking. The next logical question of course is, what are we doing to prevent this situation? Research on the Rotary Matching Grants website would indicate there were 7 global grants entered into this system since July 1, 2018, when using “AIDS” in the search term. As of November 30, 2018, only one has been submitted to Rotary International. The next question is, what am I willing to do? 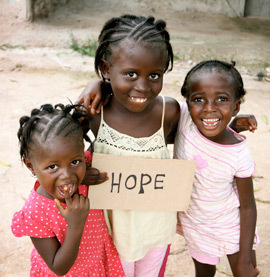 Will I be sad about those children in those orphanages, or will I support a project? Will I just tell this story, or will I take action? The answer is, I’m going to take action. My 2019-2020 Rotary year goal is to further explore what’s possible, identify potential partners, and then share that idea with others to see if they want to join me. Year-to-date, there are 205 projects, with more than $17 million in requests under the category of Disease Prevention in the matching grant system for the current Rotary year. During Disease Prevention month, get curious about what you can do around the world and in your community, to help prevent disease. Through the power of Rotary, we can give the greatest gift of all…life. As is often the case, when Rotarians see a need they want to respond with action. As is also often the case, our “boots on the ground” Rotarians will lead the effort when disaster strikes. 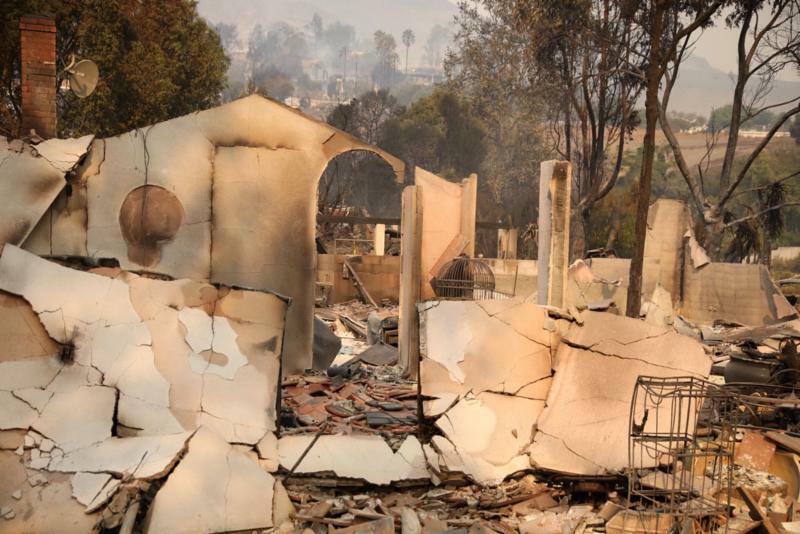 If you or your club want to help provide support to the communities devastated by the fires in Northern California, click below. District 5280 is leading this effort for their local community. There are a few options so make sure to select the one for Fire relief, if that’s your intent. Have YOU Ever Heard of Rotary Friendship Exchange? Rotary Friendship Exchange is an international exchange program for Rotary members and friends that allows participants to take turns hosting one another in their homes and clubs. Participants may travel as individuals, couples, families, or groups, and may be Rotary members or not. There are numerous benefits of an exchange: Building friendships, promoting peace, learn about a region’s people, food, languages, customs and history, and find partners for your grants. Baseball teams have hitters. New and developing hitters know the rules but need learning and coaching to achieve best results. Rules say hit the ball with the bat. Coaching helps new hitters hold the bat at the skinny end for best results and seasoned hitters to improve their stance at the plate. Rotary clubs have hitters also. Who teaches and coaches hitters on your Rotary club team to properly use our bats – like our Foundation, our RI image, our amazing Club Central support system? There is a district training committee, but what about at the club level? On November 10th, 15 Rotary and family members racked up leaves at 2909 Harmony Way, Boise. This resulted in 35 bags of leaves. We were provided the bags by Rake Up Boise™ . All bags of leaves are recycled and used by the City of Boise for compost and mulch. This program is in its 33rd year and our club has participated for 9 plus years. Recipients must be 65 years or older or disabled and live in Boise or Garden City. In 2017, 5,965 volunteers racked up 805 yards. Click here for further information on this program. During the month of Disease Awareness, we’d like to shine a spotlight on a District 5400 Project. The Gorongosa Medical Transport project was sponsored by the Boise Sunrise Rotary Club along with contributions form Boise Centennial, Boise East, Boise Metro, Boise Southwest, Emmett, St . Anthony, and Lakeville, MN. They secured funding for transportation that would allow government medical professionals to reach areas that are difficult to access because of road and climate conditions. The Global Grant improved the health care of the communities surrounding Mozambique's Gorongosa National Park by extending the reach of existing medical services to the remote communities surrounding the park. Recently Rotarian Todd Fischer shared a service idea that I really like. Its called “Good Will and Better Friendships Dinners”. This is a project where members of your club (either by assignment or by sign-up process) volunteer to invite newer Rotarians and spouses to their homes for dinner. The objective is clear: to build good will and better friendships. Last month I noticed in a Rotary Foundation report that someone in the Ketchum-Sun Valley Club had made a substantial contribution to the Endowment Fund. A donation to this Rotary Foundation fund usually means one thing: someone has passed away. And indeed that was the case. Martha Lee Orwig (Marty) left this earth a year ago on Oct 14th. I didn’t know Marty personally, but from her obituary and from reading the sentiments of her friends and family, I’ve come to believe that she lived the life she wanted to live. We discussed in the last bulletin article the value of logging into your my.rotary.org account. Much of that value lies in accessing the Learning and Reference Center which includes extensive discussion forums for the club roles of President, Treasurer, Secretary, and Committee Members. Rotary Club of Pocatello members Marc, Terry, Summer, Keeven and Bill enhanced their tree planting project by helping Idaho Fish and Game install a drip system on 6 acres along the Portneuf River, which will feed the 300 trees the club planted in April. They staked every plant with a lath to allow Fish and Game to check trees and the drip much more efficiently. Then, they extended the drip to several areas, replanted a few trees that didn't get enough water, sprayed thistles, and rebuilt the main drip manifold with more valves and control. "It's all working better now," Marc says, "some trees are really booming." Marking each tree will help Fish and Game more-accurately mow the area and make rodents more vulnerable. On 1 July 2017, trustees of The Rotary Foundation approved a ground-breaking initiative to raise support for Rotary’s peace-related activities. It is called the Peace Major Gifts Initiative (MGI) action plan. In addition to the Rotary Peace Centers, the Peace MGI seeks endowed and directed gifts and commitments for global grants in the Peace and Conflict Prevention/Resolution Area of Focus. Kurt Wolf, City Arborist and McCall Parks and Recreation Director, exclaimed “You guys need some bigger rocks for that tree!” and off he went to get his wheel loader. Rotary Club of McCall/Payette Lakes did, indeed, need some larger rocks to stabilize one of the 40 mature trees being planted that day, trees that the club contributed over $5,000 to purchase. The tree Wolf was referring to was a beautiful, ten-foot-tall mountain ash that was to serve as one of two sentinels at the entrance to McCall’s latest city park, Riverfront Park. No new Wild Polio cases reported this week. What is that Polio Eradication Picture? Toward a Polio-Free Afghanistan This picture shows a child receiving the Oral Polio Vaccine in Afghanistan - one of the over 5 million vaccinated there in early November of 2018. See the Afghanistan report below. 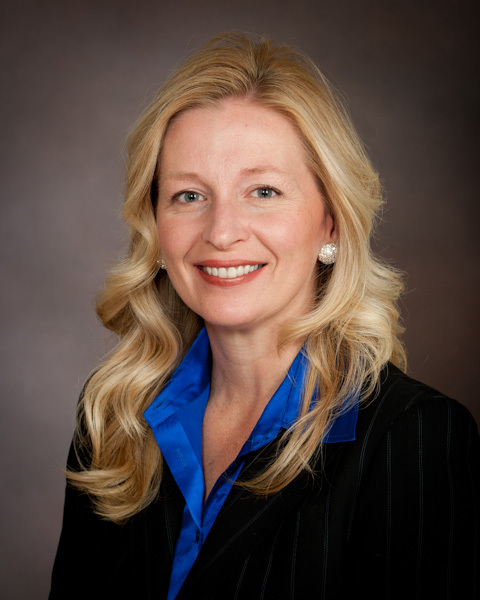 The Rotary Foundation Receives Highest Rating! For the 11th straight year, The Rotary Foundation has received a four-star rating, the highest possible, from Charity Navigator, an independent evaluator. "RYLA is fun. We provide the 4 days of summer where students can spend 8 hours climbing around an incredible ropes course, engage with their peers, and improve themselves in a safe and happy environment."